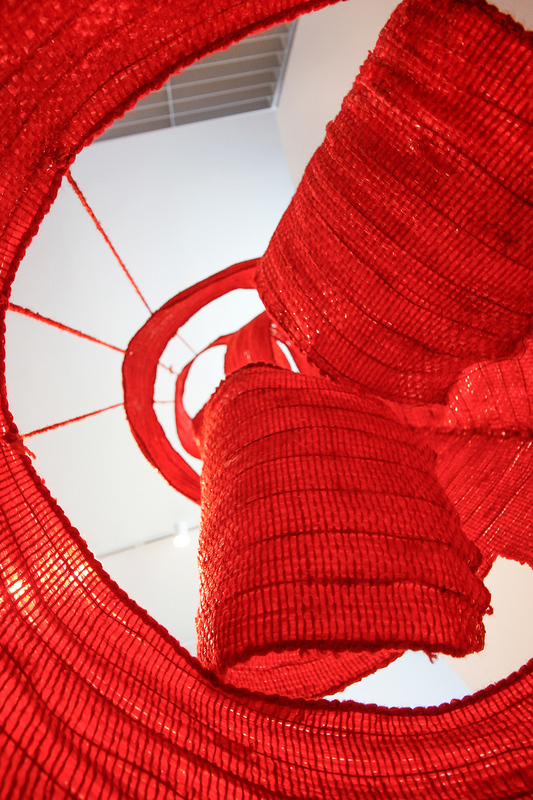 The word textile comes from the Latin “texere” which means “to weave”, “to braid” or “to construct,” and is the common root of words like text and textile. 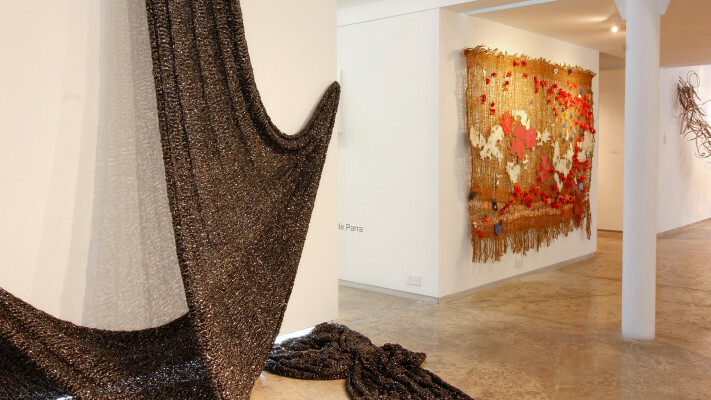 There is a discourse that flows between the threads and the fabrics of the artworks by the women artists participating in this exhibition. 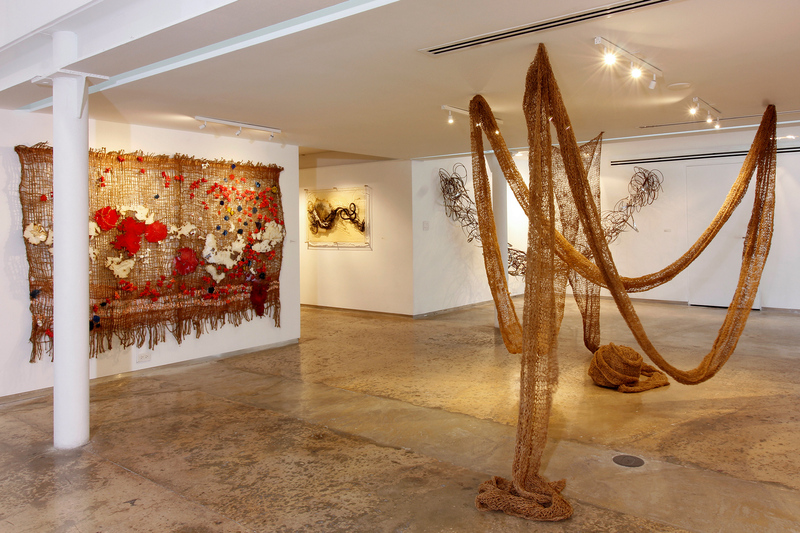 They weave worlds as incarnations of the mythic Arachne, transforming the techniques of weaving in a practice that invokes a common memory. 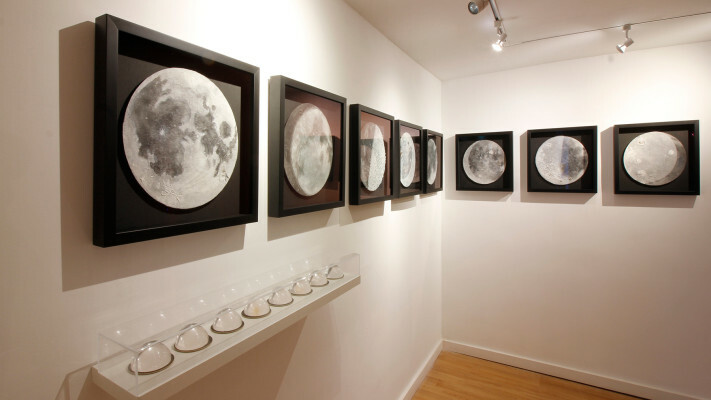 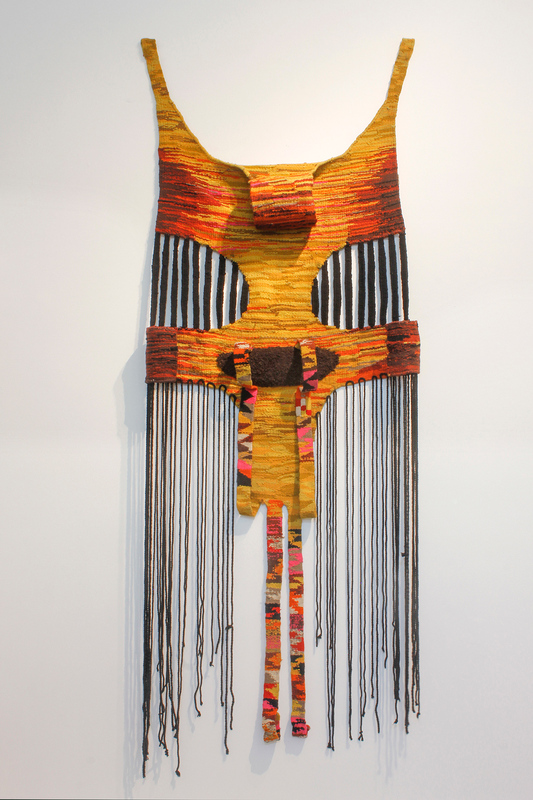 Through their pieces, they transfer the legacy of ancestral cultures into contemporary art. 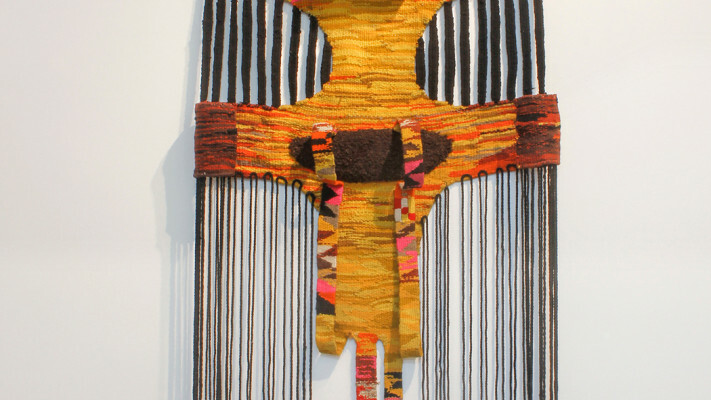 Their works reconnect us with nature and respond to the calling of what we have lost in history and now needs to be interwoven in our visions. 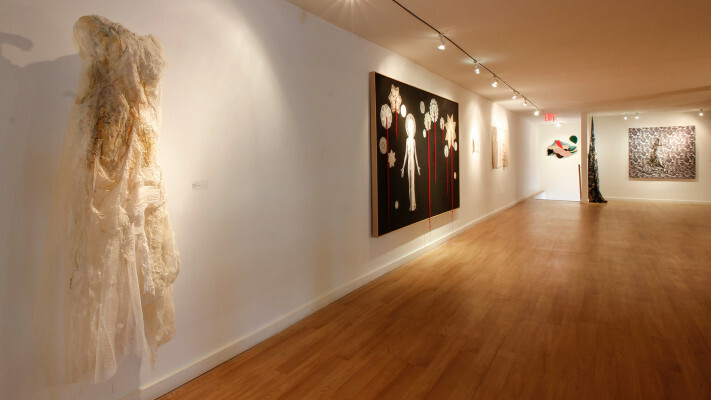 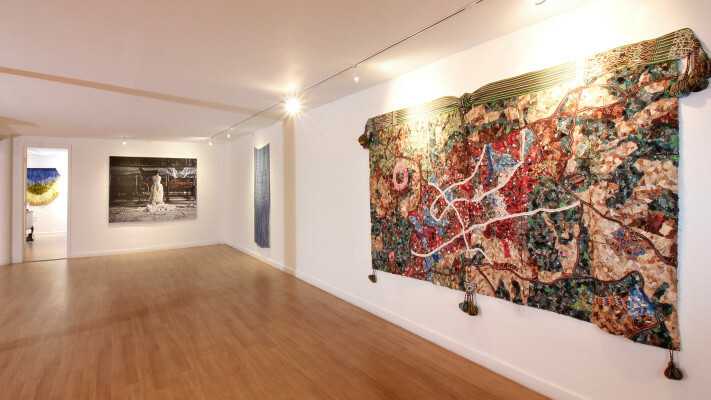 As such, the spectator should walk carefully and attentively through the threads that connect the artworks of these contemporary artists. 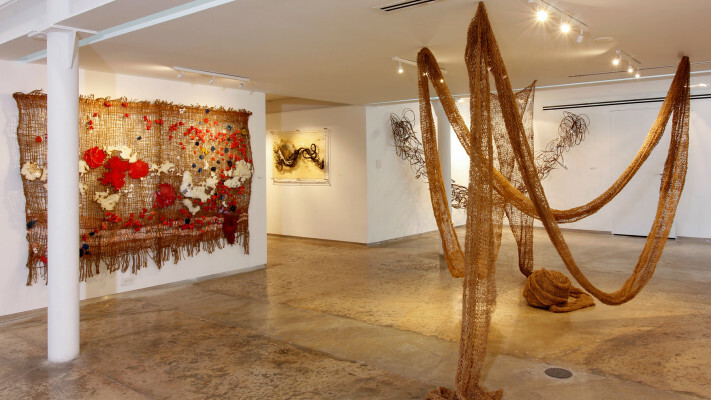 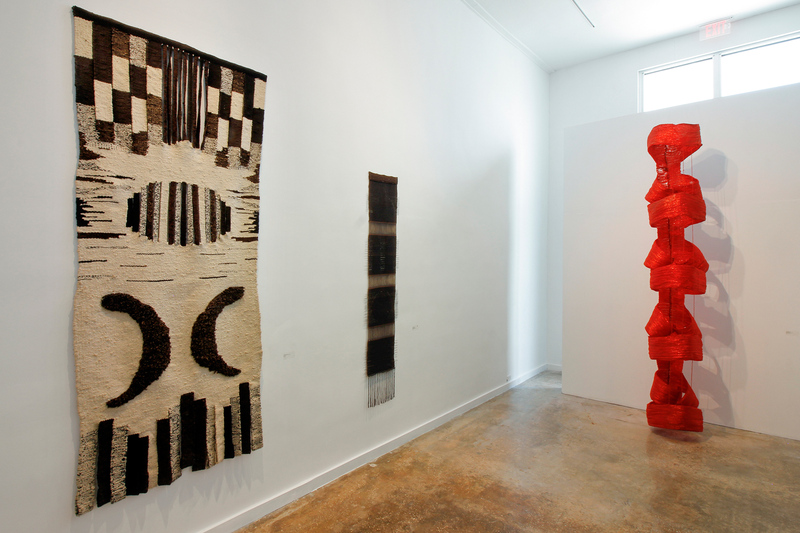 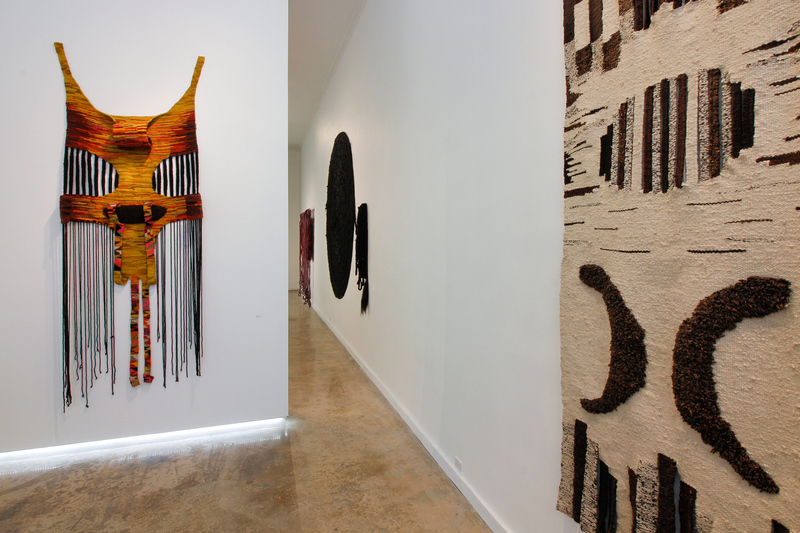 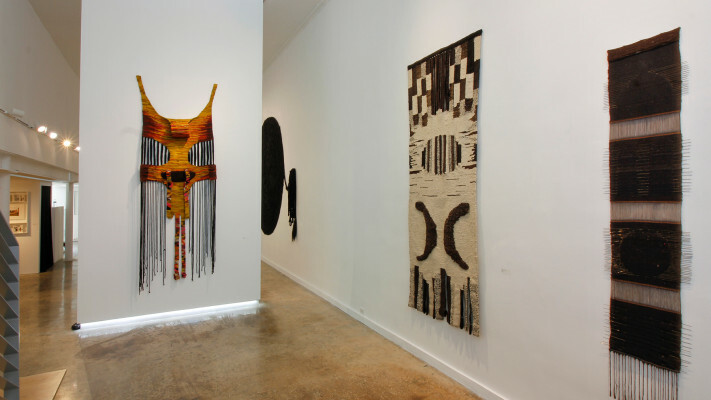 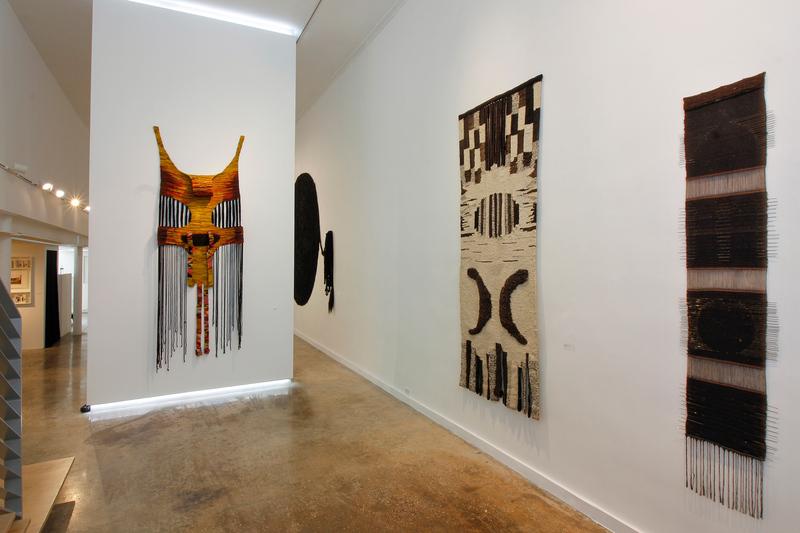 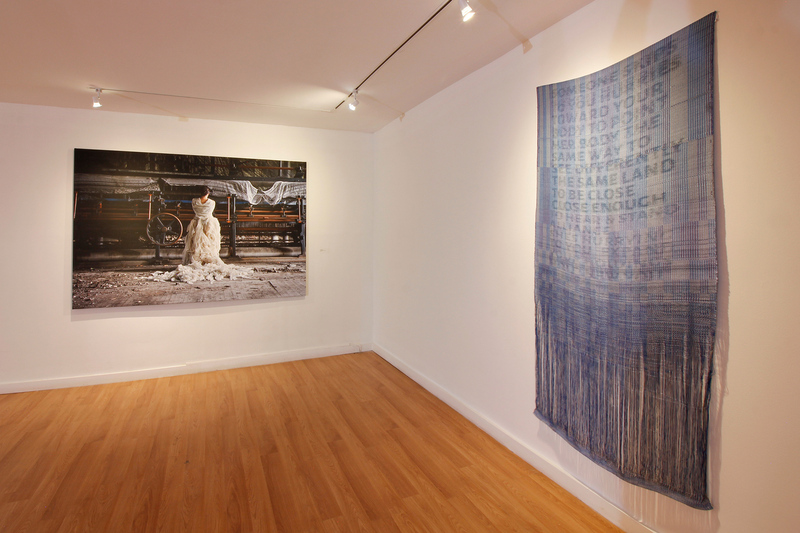 Women Weavers: The Warp of Memory reunites artists from the Americas, from Argentina to the state of Hawaii with artworks created in a period spanning from 1973 to 2018. 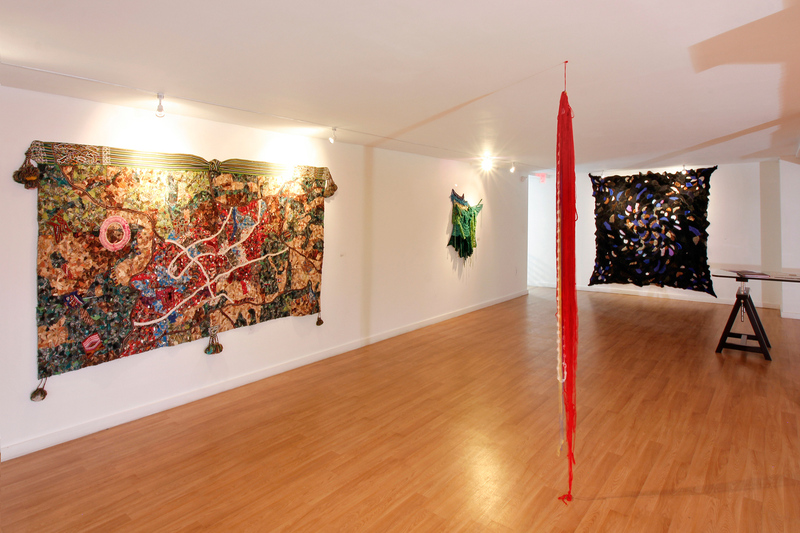 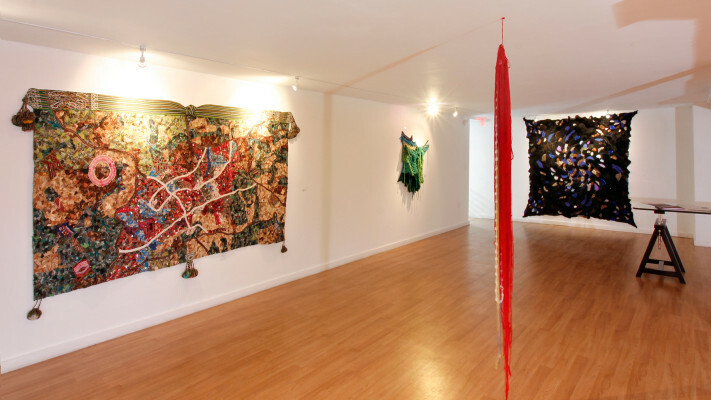 The display contains pieces by pioneers with dazzling and continuous trajectories like Olga de Amaral (Colombia, 1932), and Stella Bernal de Parra (Colombia, 1932), a rediscovered artist who made enormous fiber sculptures and abstract three-dimensional tapestries exploring cosmic geometry and who should be reinserted in the art history of textile art. 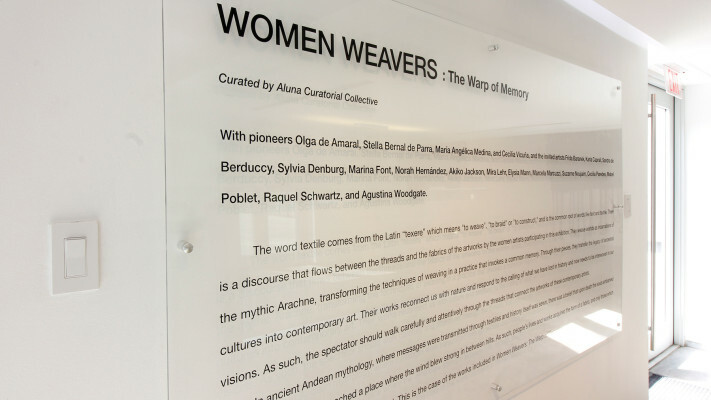 The exhibition also includes one of the first pieces of “Woven Conversations” by Colombian artist María Angélica Medina (France, 1939), whose contribution was vital for conceptualism and non-objectual art in her country, in addition to the Chilean pioneer Cecilia Vicuña (Chile, 1944) —a textual and weaving poet whose work contains the spirit of the offering, reverence for nature, and pre-hispanic memory. 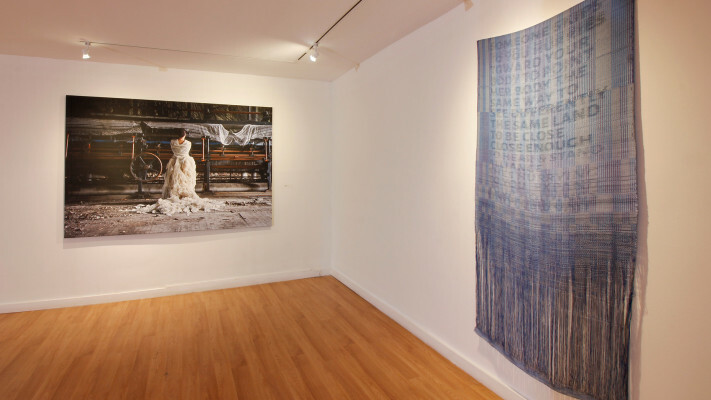 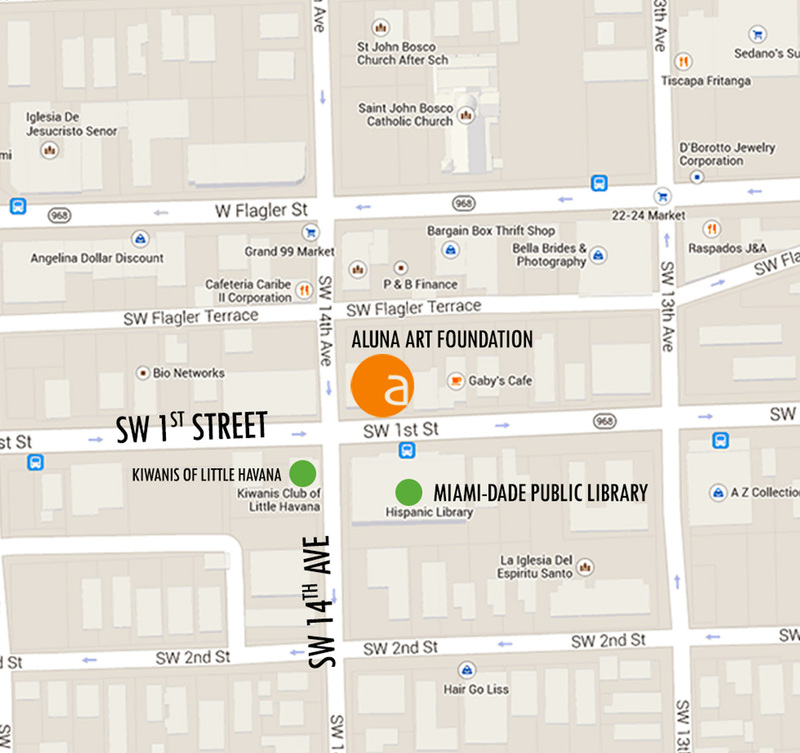 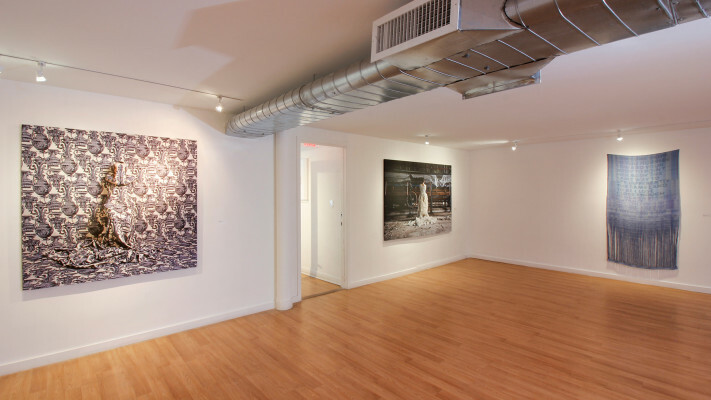 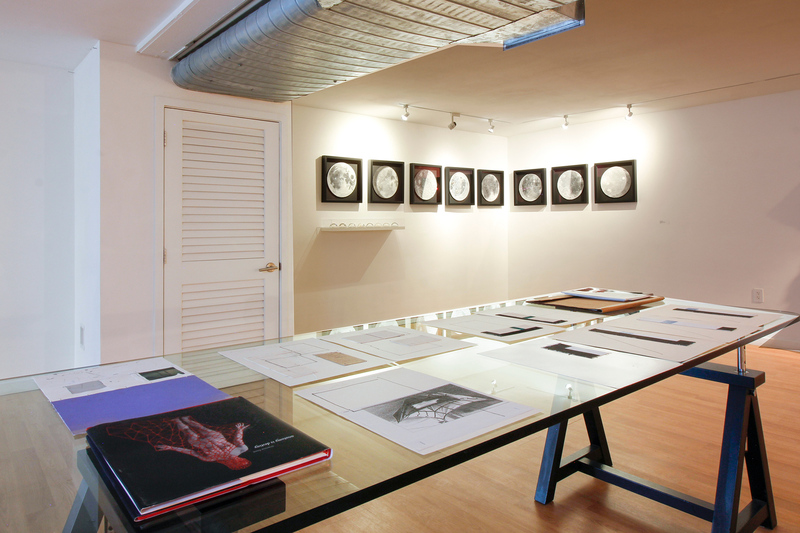 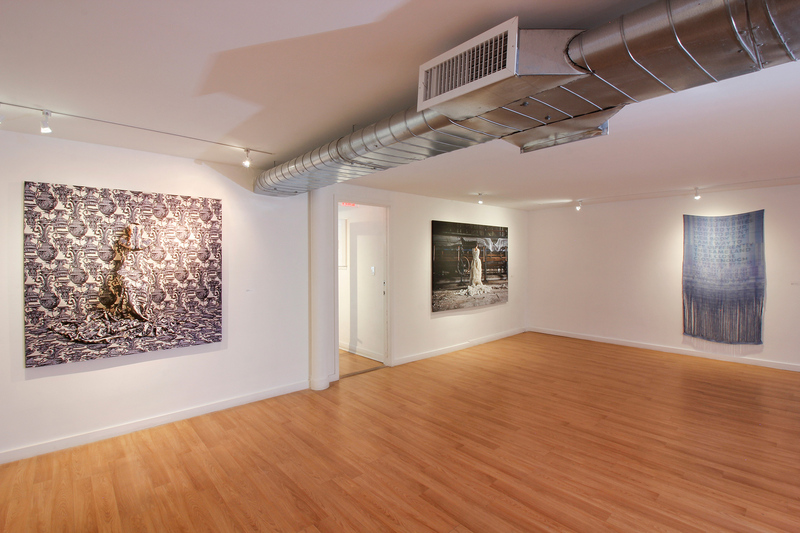 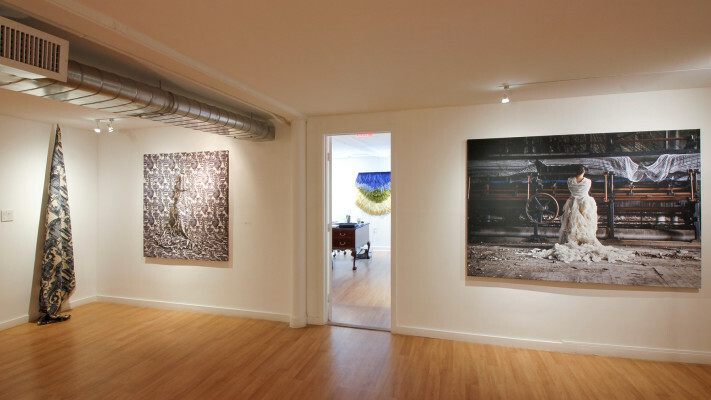 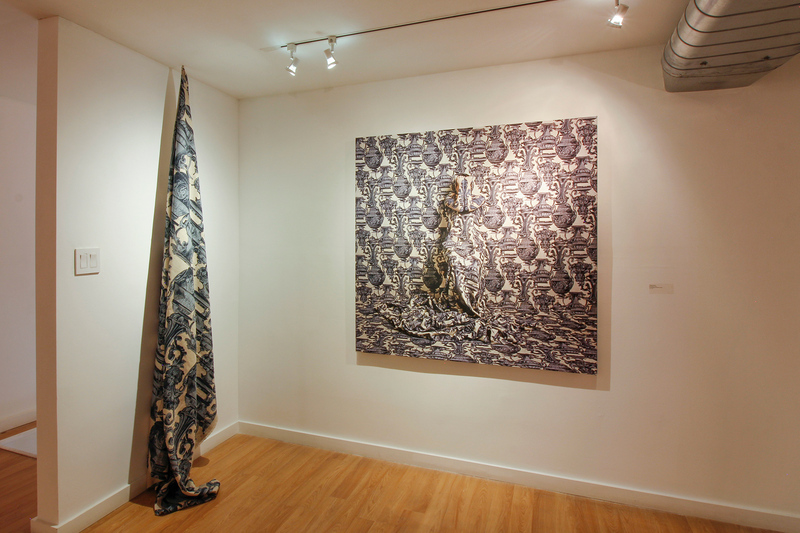 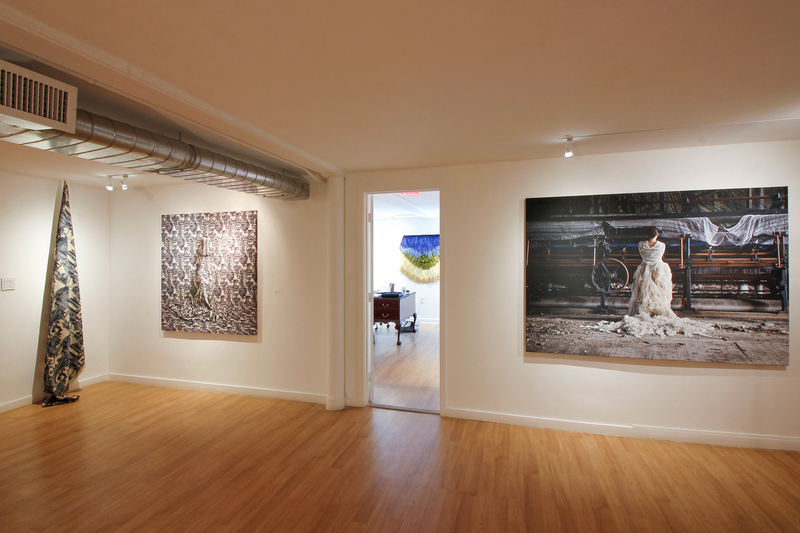 Alongside with them, there are artists in various stages of their practice who have experienced varying career paths. 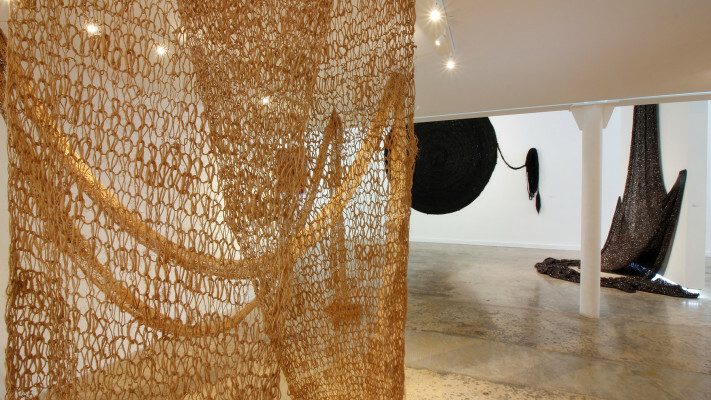 The interruption or delay of their trajectories in certain cases, does not invalidate the strength of the works, which when woven together in the same space truly create an extraordinary multigenerational conversation. 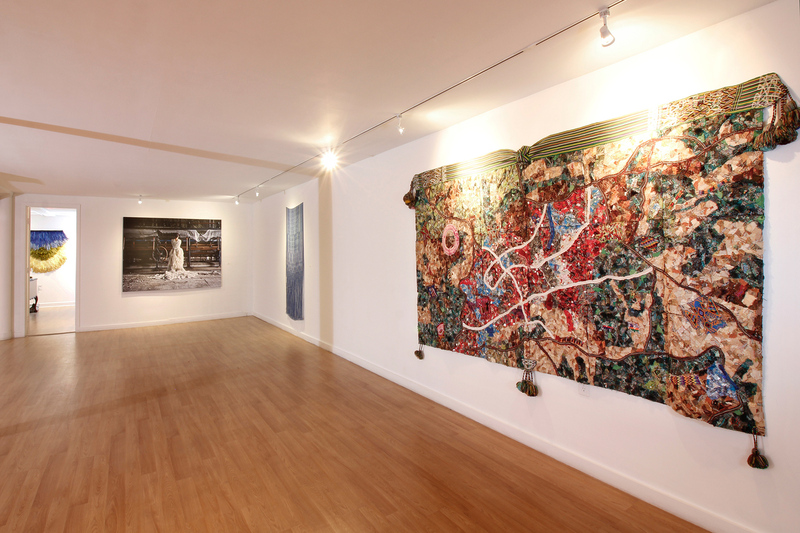 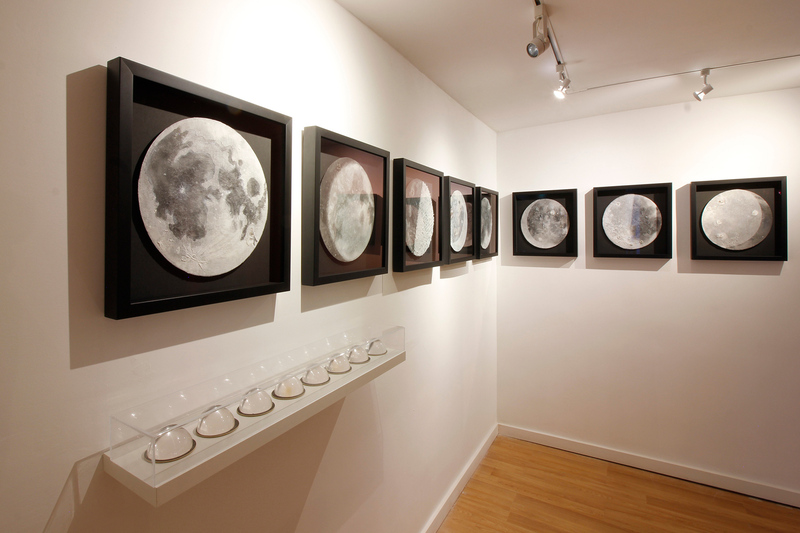 Some of the artworks are open to be freely transformed in their display. 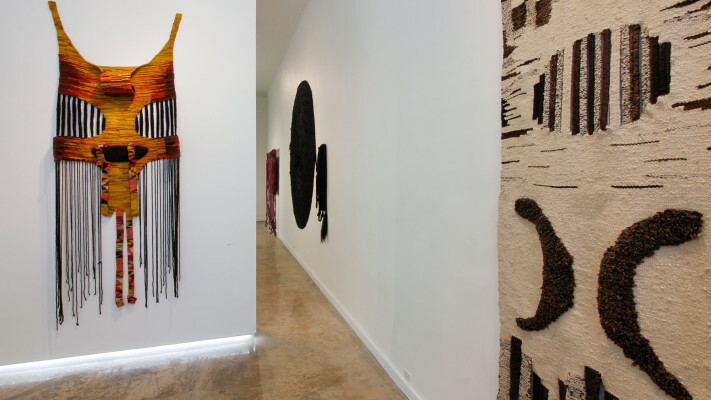 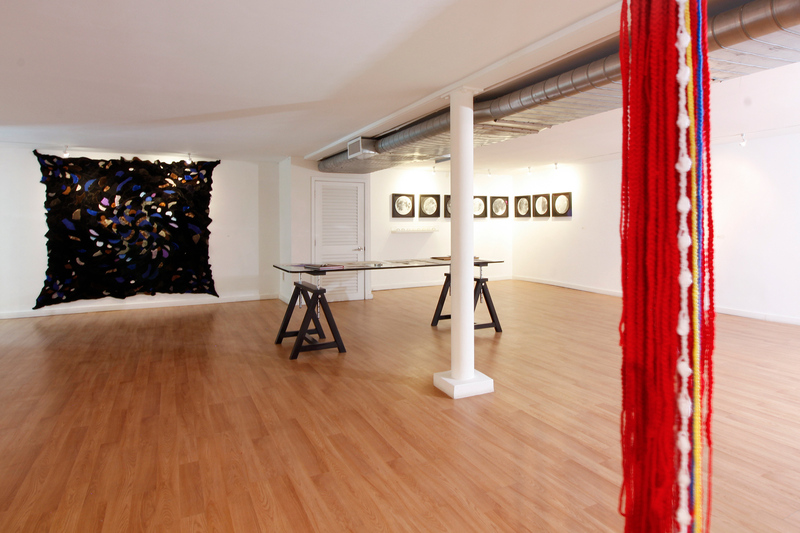 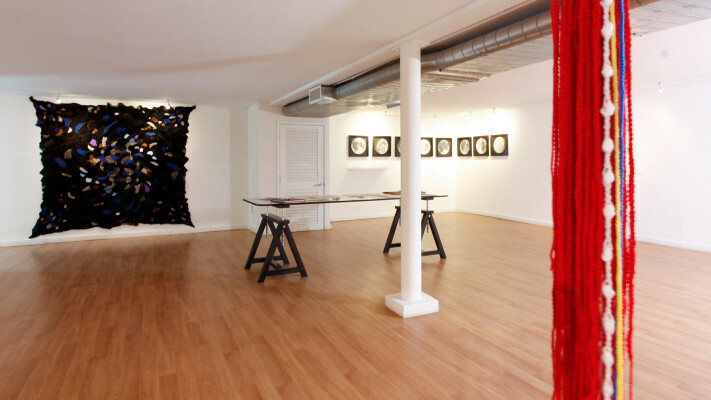 Such is the case with Medina’s woven pita fiber piece; with the Venezuelan Suzanne Noujaim’s fabrics, which recreate everything from landscapes to political situations and can be worn or hung; and with the small carpets of irregular shapes in which the Brazilian artist Karla Caprali weaves imaginary places. 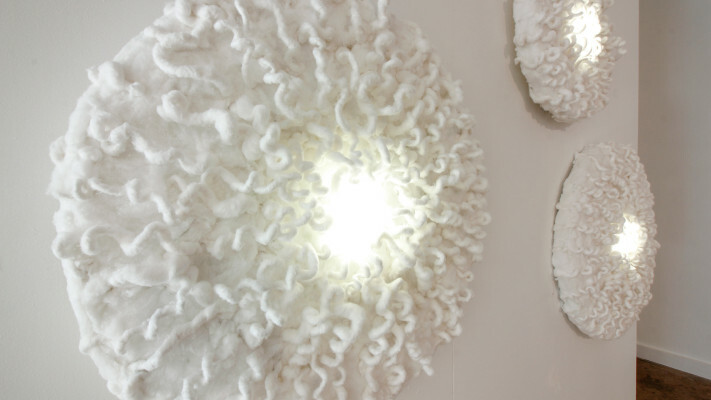 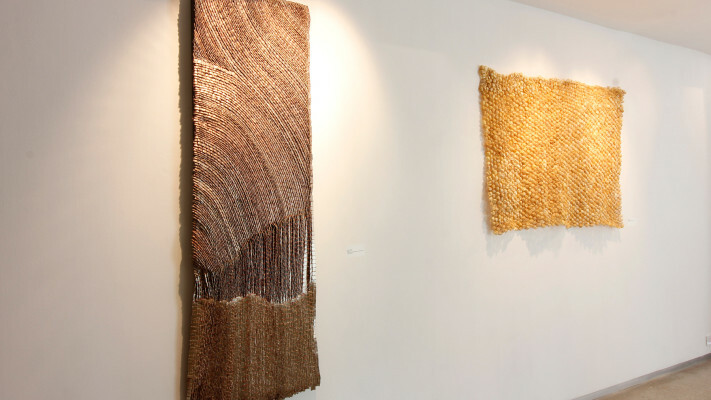 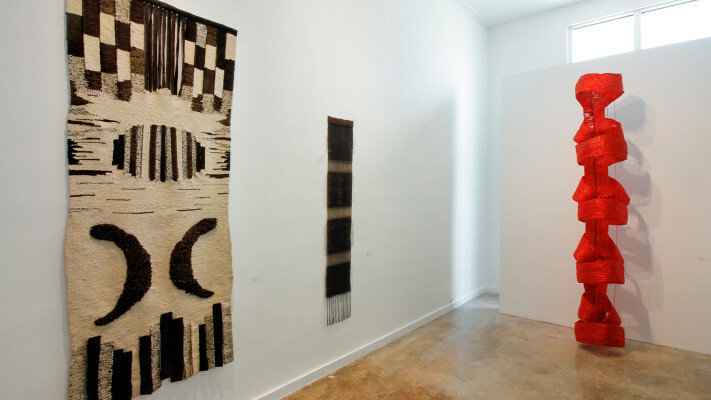 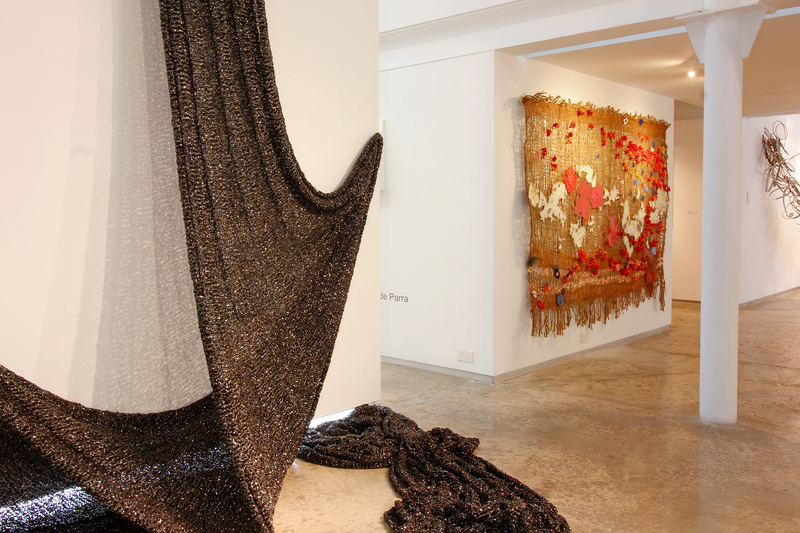 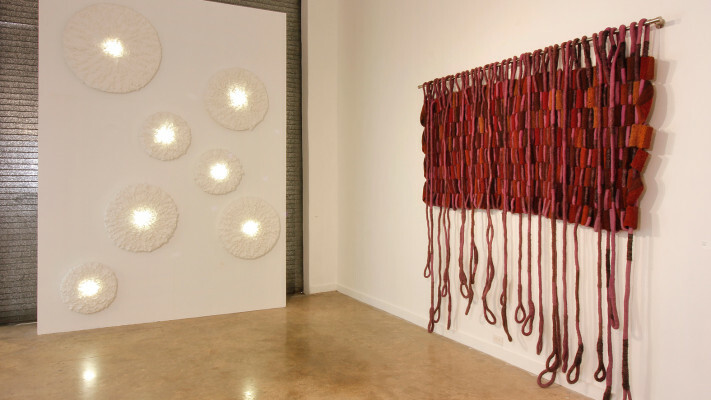 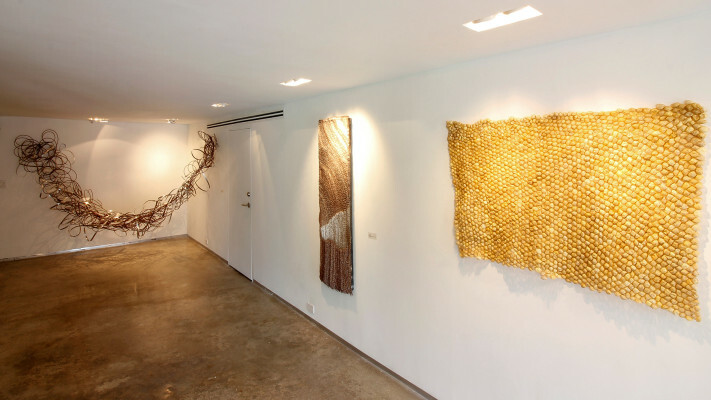 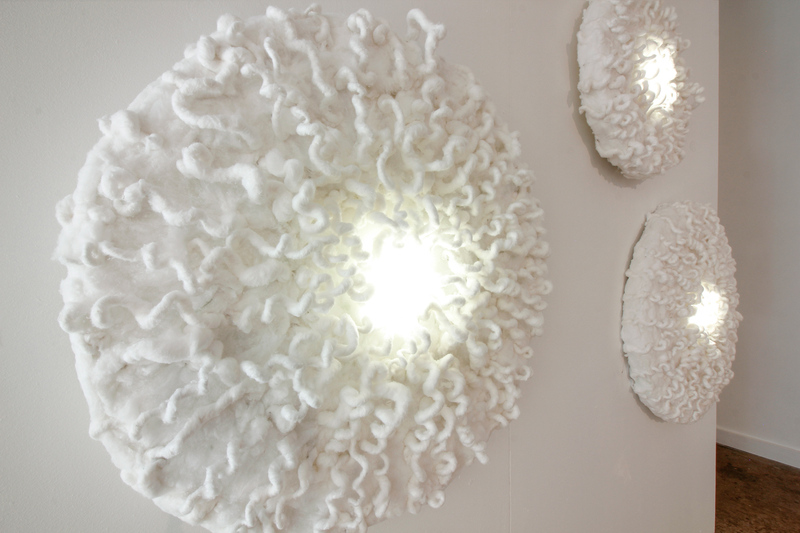 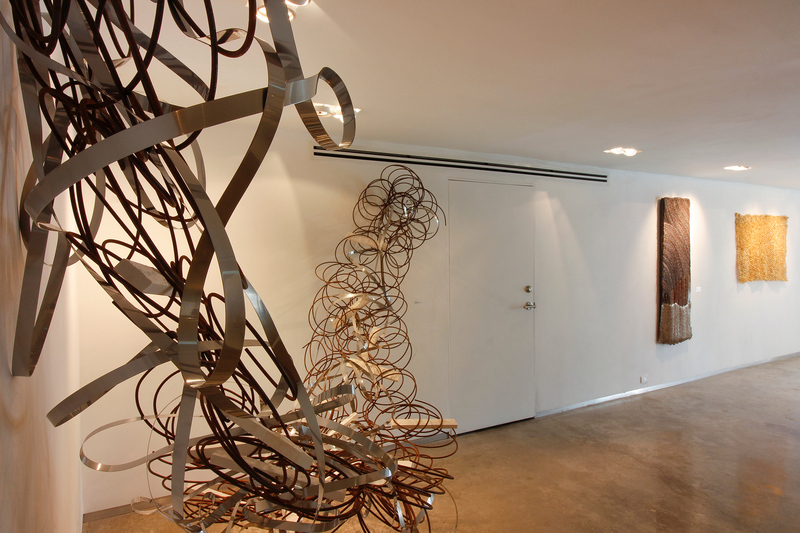 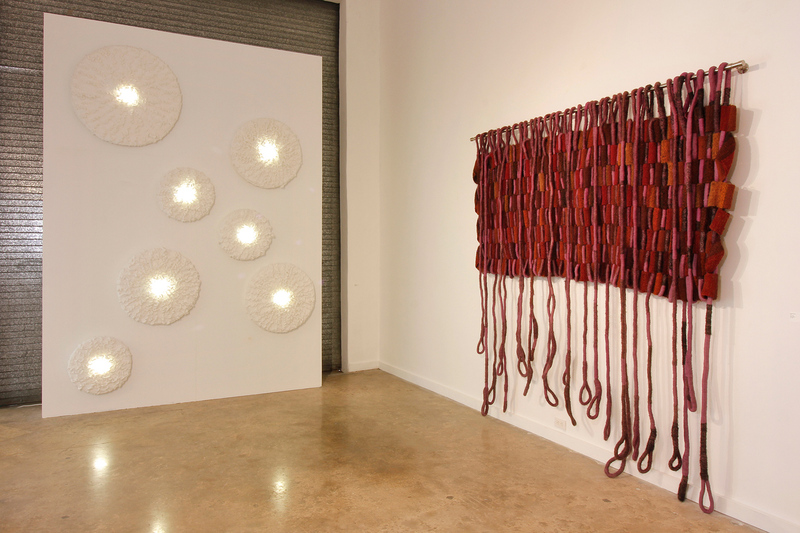 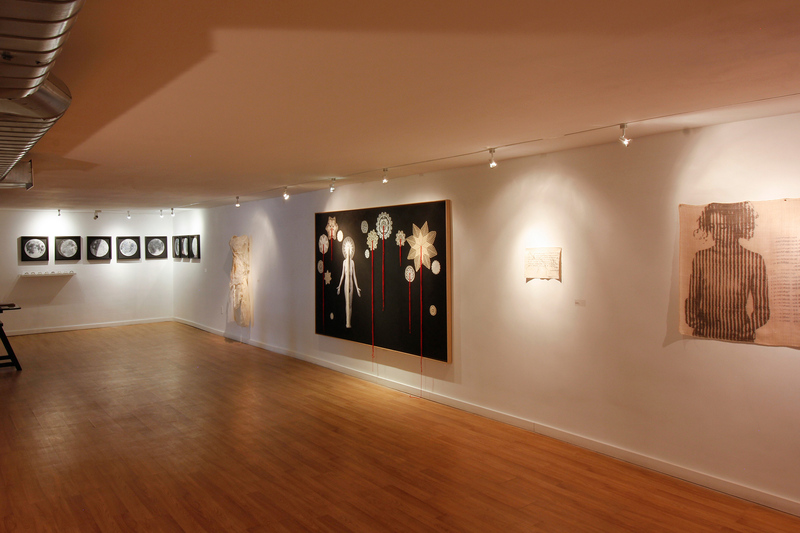 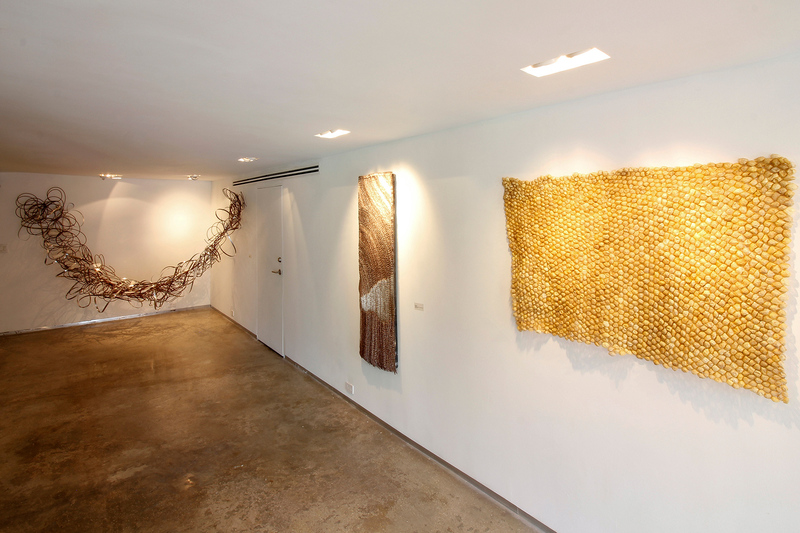 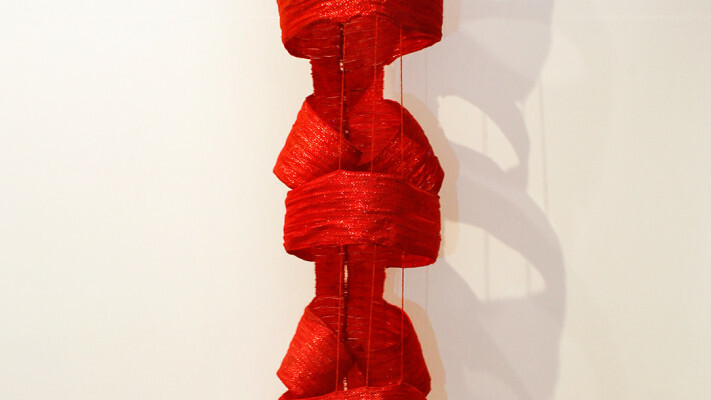 This connection with nature and the pre-Hispanic past is shared by various artists: Sandra de Berduccy, for instance, combines iconographies and ancestral weaving techniques with sophisticated lighting technology. 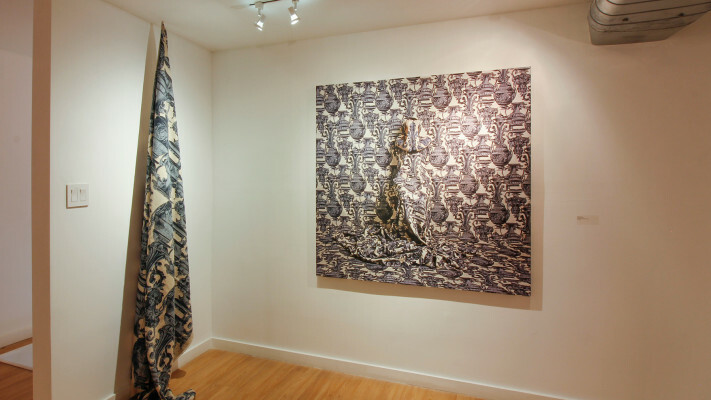 Peruvian Cecilia Paredes stiches in a golden tapestry the chrysalides abandoned by butterflies, and explores the survival strategy of camouflage with a performance in which her body is hidden behind the fabrics. 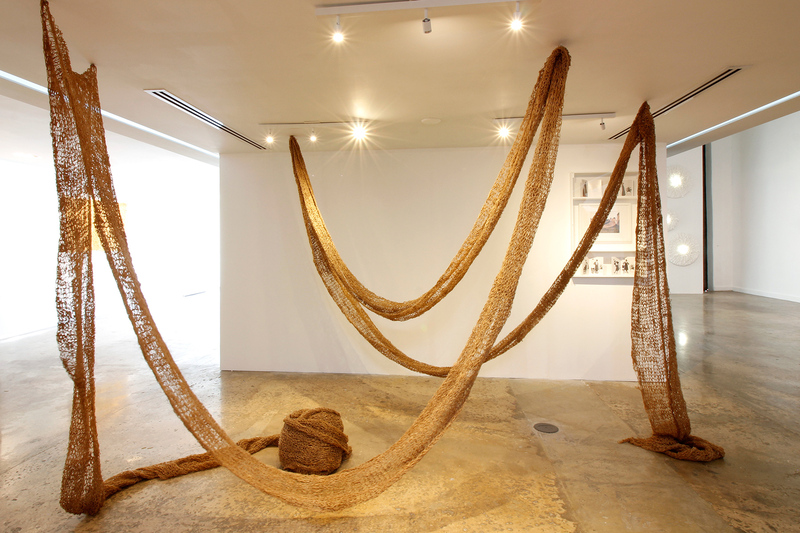 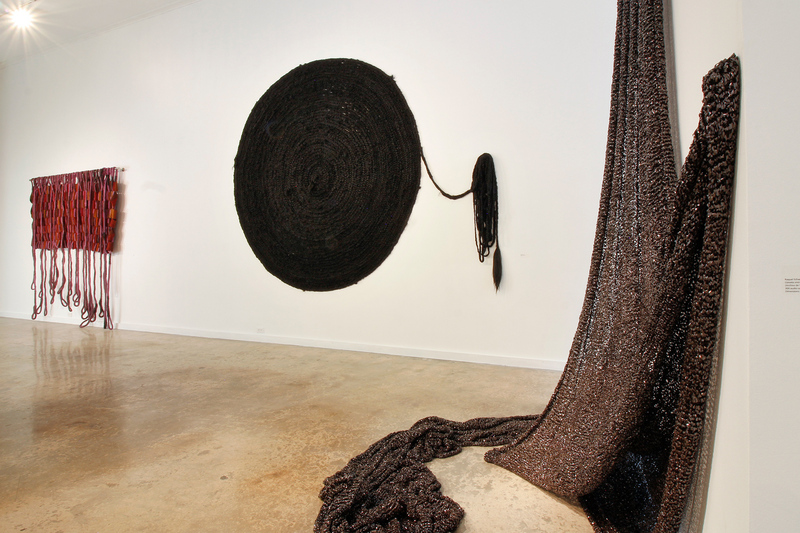 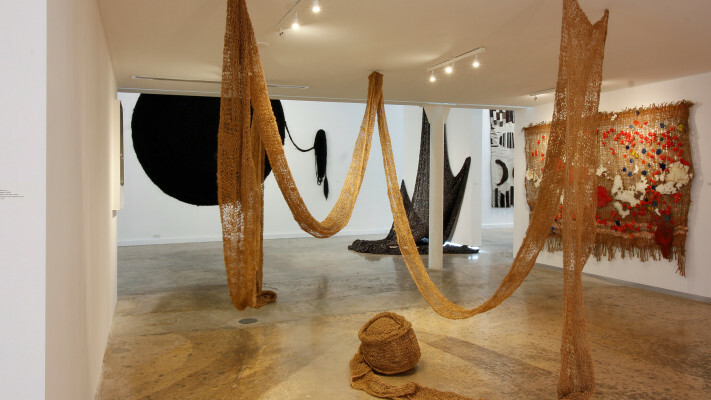 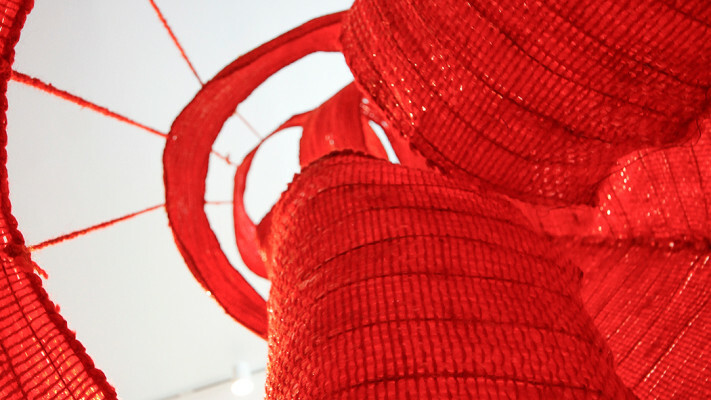 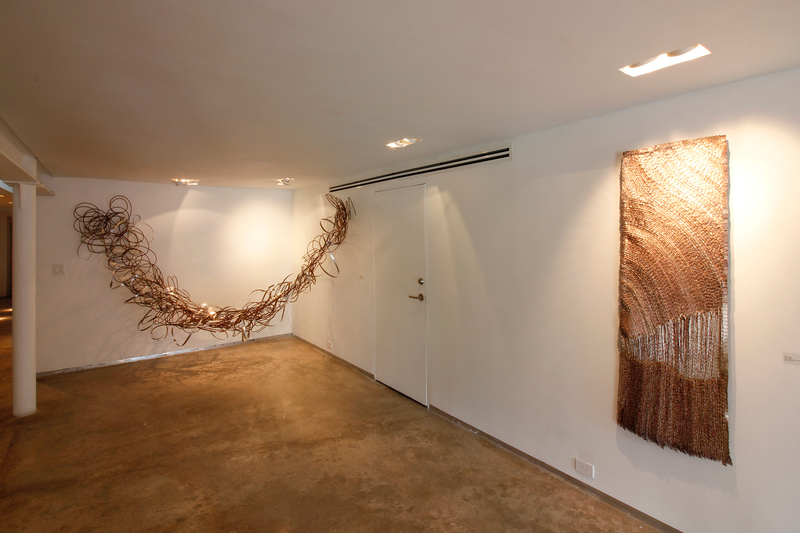 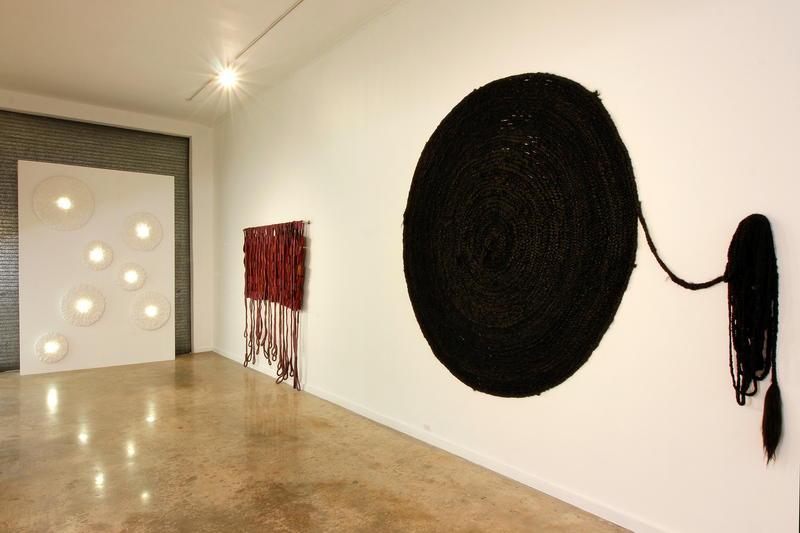 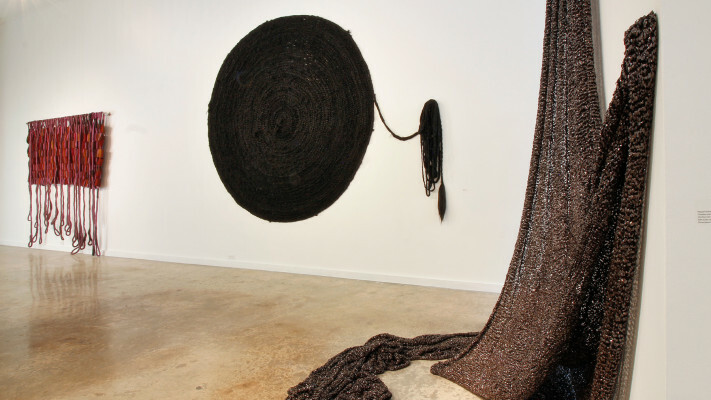 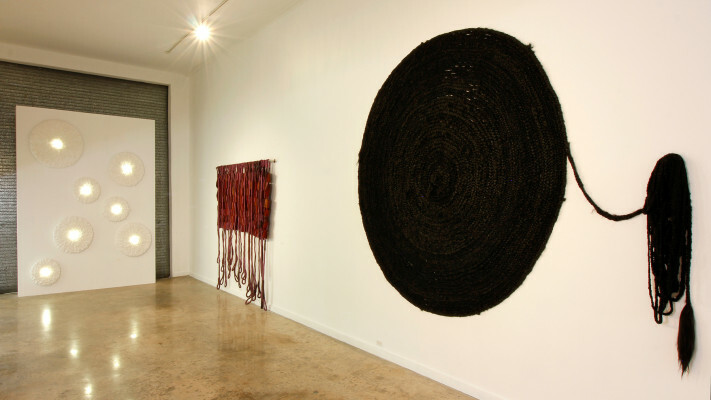 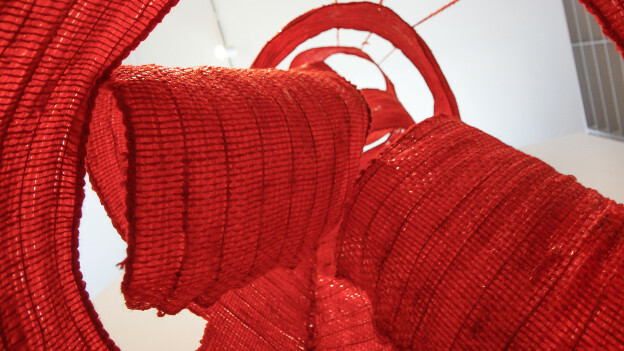 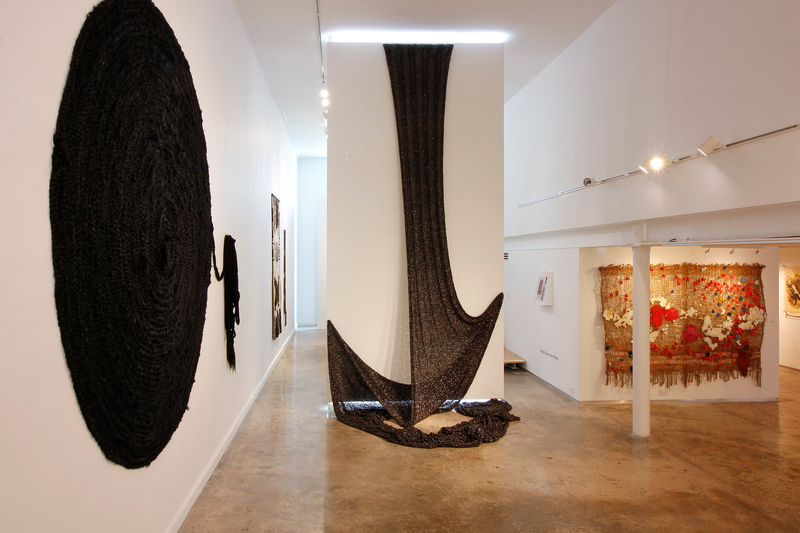 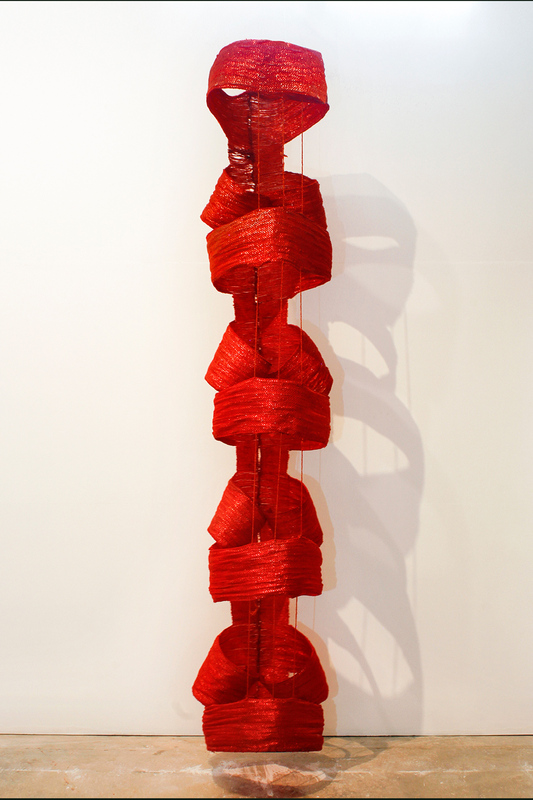 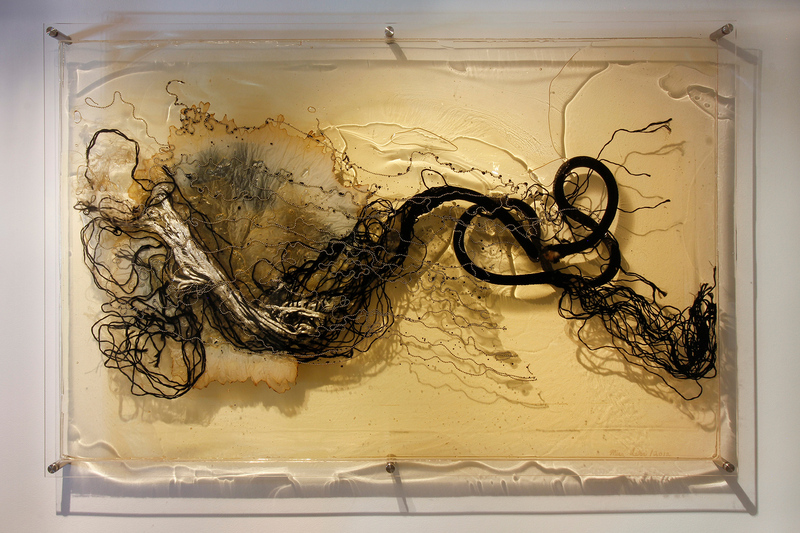 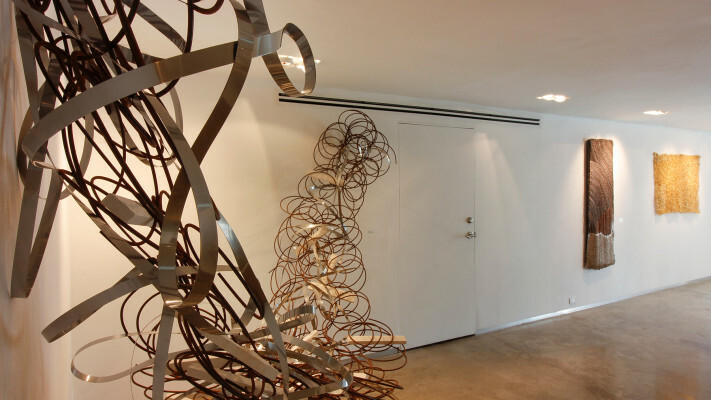 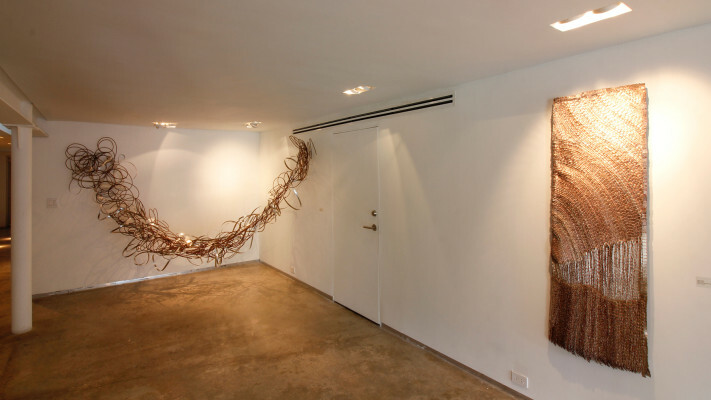 Akiko Jackson, born and raised in Hawaii, creates vast installations with a long, black hair braid that she transforms in situ, expressing her ethnic heritage. 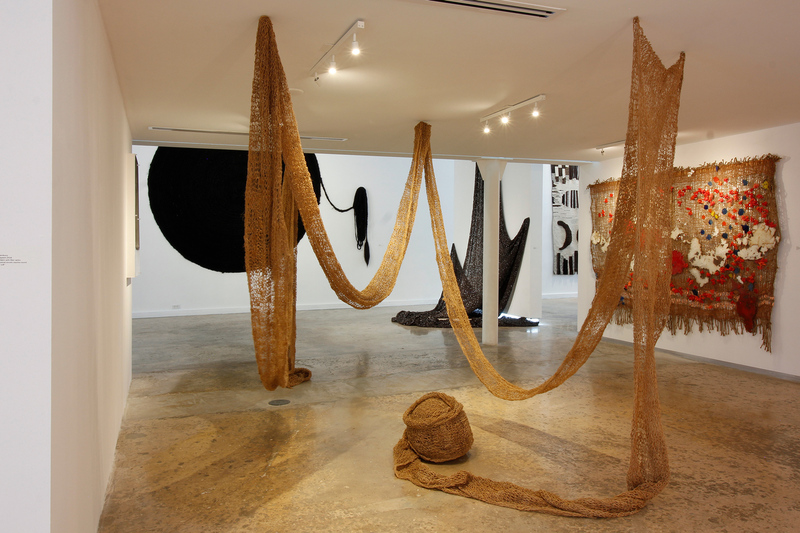 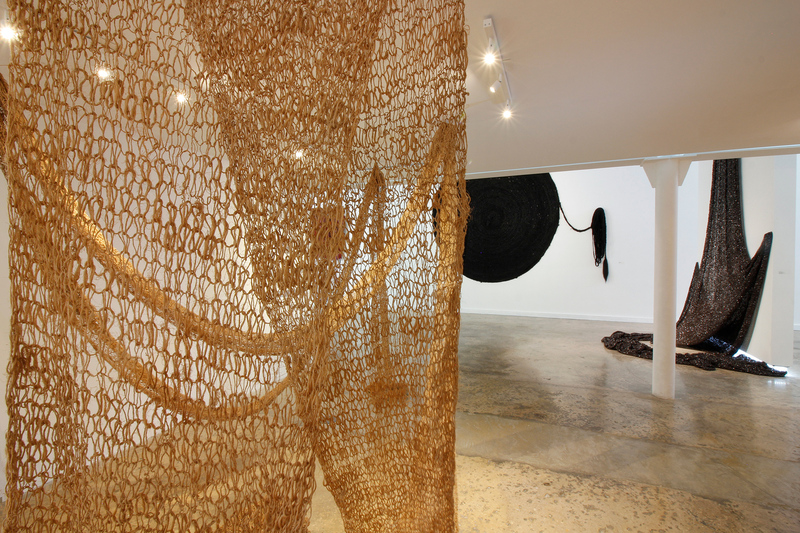 Frida Baranek evokes the hammocks of Pre-Hispanic America and of Native Brazilian people in a metallic installation as part of her practice of recreating common objects so that they no longer have any functionality, but that now contain new vital understandings. 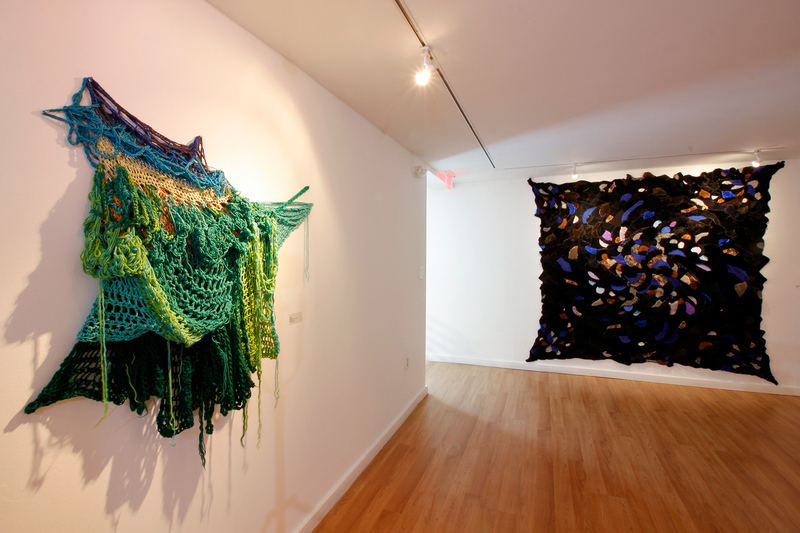 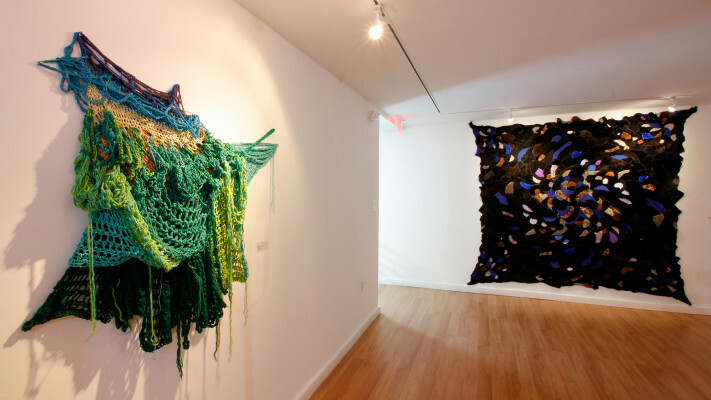 The ocean and all the life contained within it, is omnipresent in the textiles and sculptures of American artist Mira Lehr, who for more than 70 years has seen the tides gradually increasing from her shoreline house in Miami Beach. 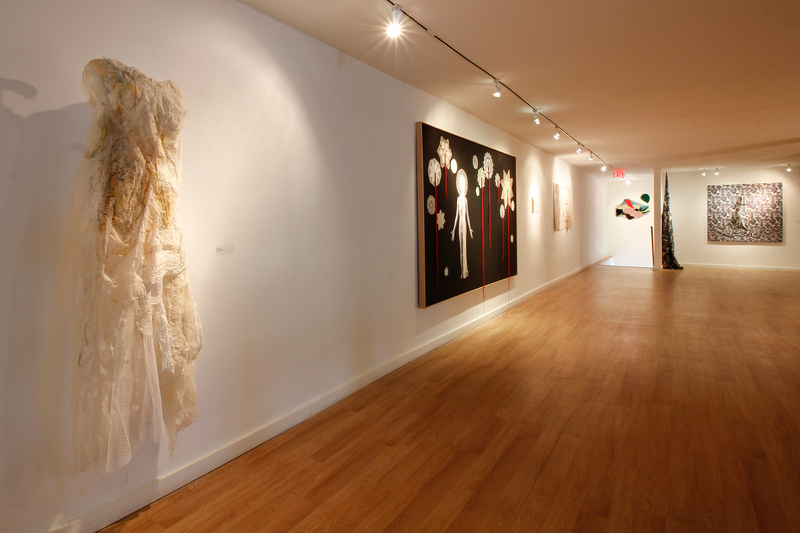 Marcela Marcuzzi, Mabel Poblet, Elysia Mann, Marina Font and Norah Hernández present pieces embroidered in paper to cosmic installations made with cotton; words written in fabrics of disintegrated textiles; collages with embroidered photographs or illustrated dresses. 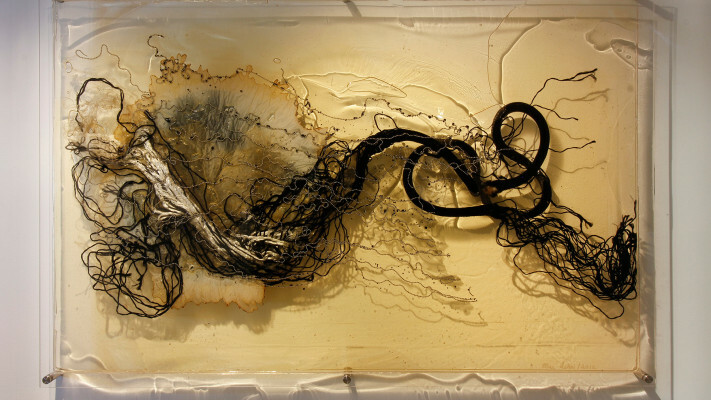 They all speak of the fragility and power of life. 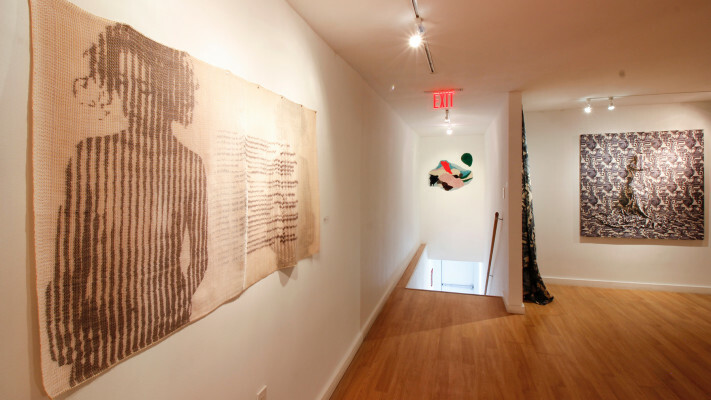 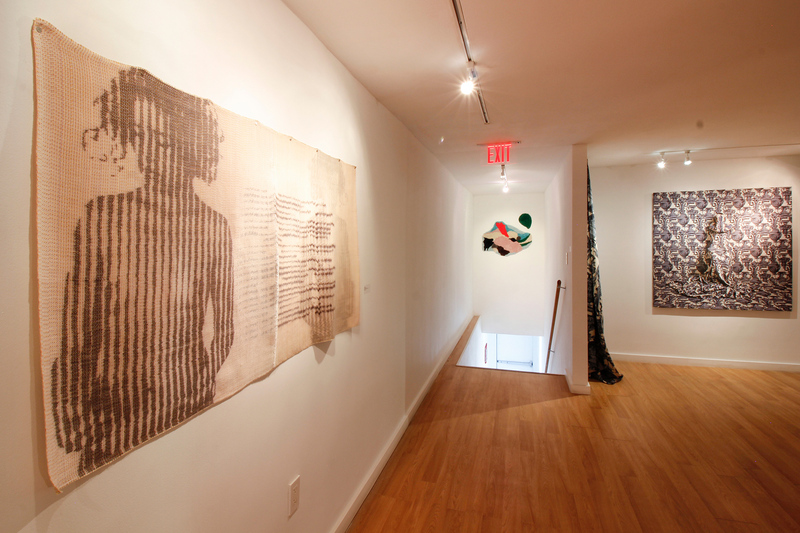 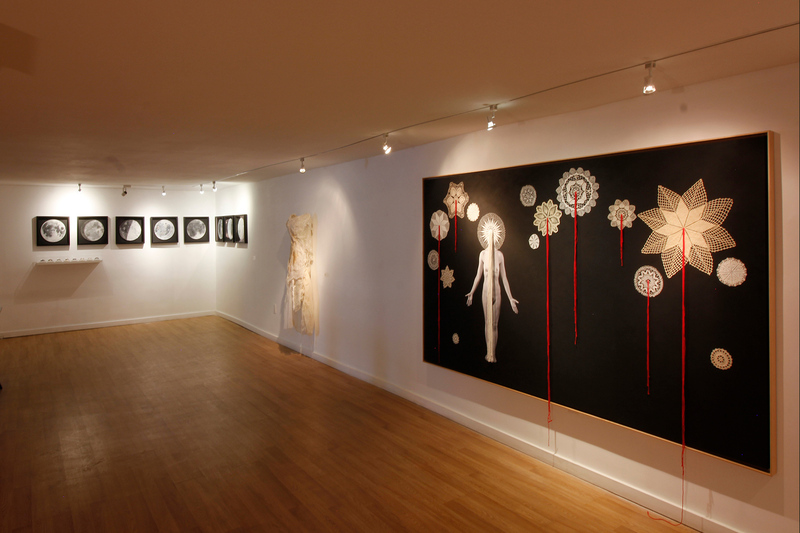 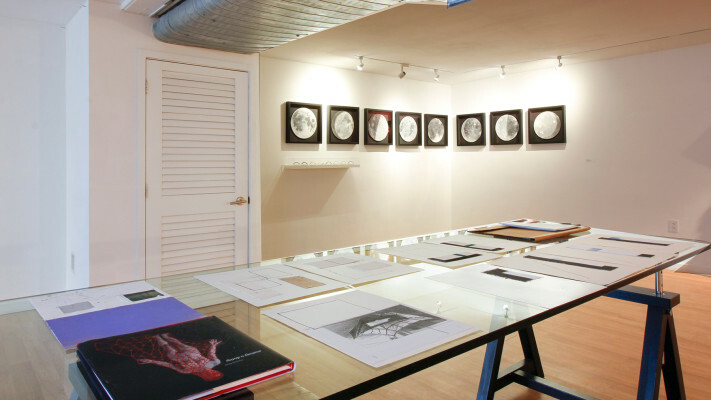 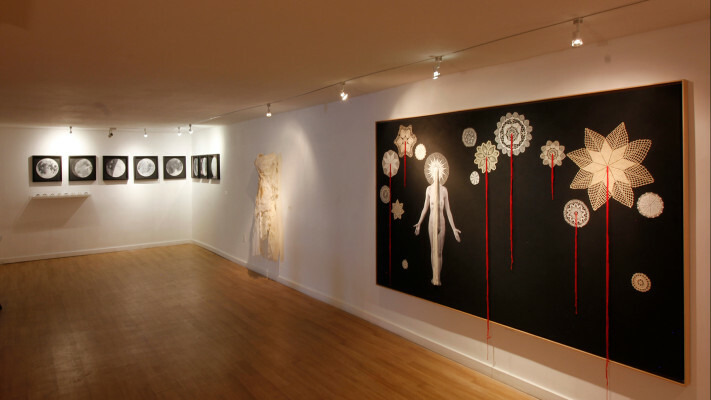 Their artworks span from the cellular universes to all that could be weaved or stretched atop the images of the feminine body. 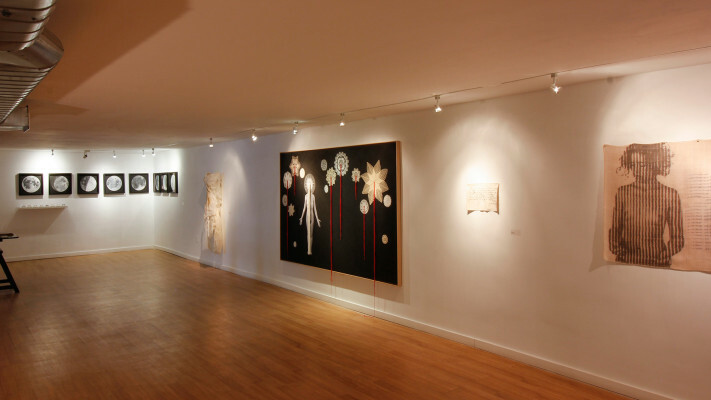 In any case, we are in front of art pieces which are touching because they are connected to the artists´ own biographies, and no less to the history: of the continent, women, art, and the socio-ecological thought. 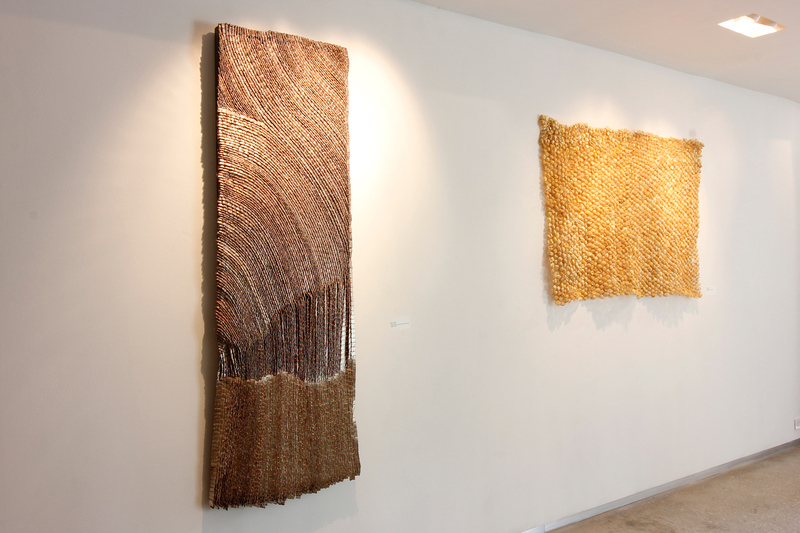 These are pieces which strengthen the interweaving of the common memory. 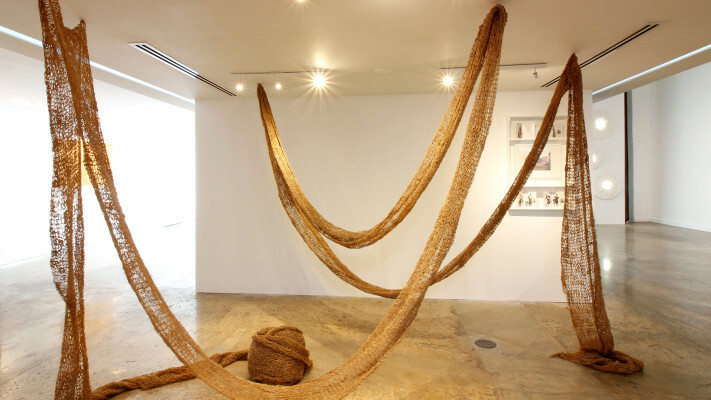 In ancient Andean mythology, where messages were transmitted through textiles and history itself was sewn, there was a belief that upon death the souls embarked on a journey until they reached a place where the wind blew strong in between hills. 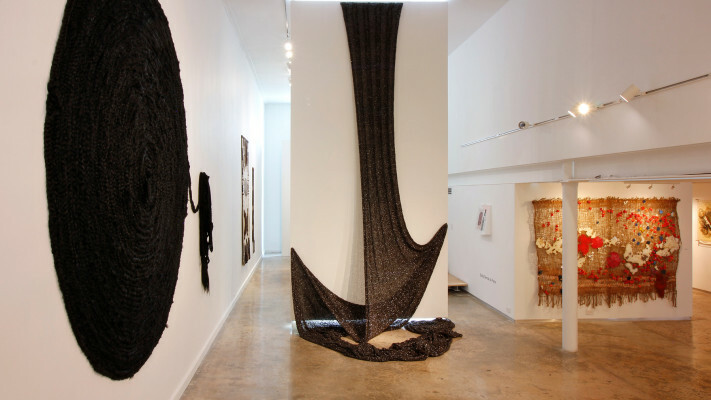 As such, people’s lives and works acquired the form of a fabric, and only those which were strongly woven could resist the wind. 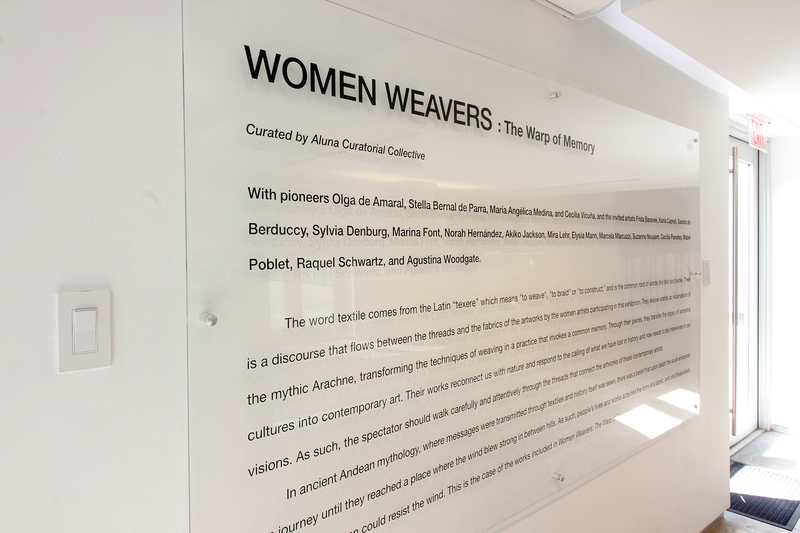 This is the case of the works included in Women Weavers: The Warp of Memory.